"Improves on their excellent LED7 downlight by reducing the overall height to enable easy shallow void installation, providing larger push fit loop in loop out terminals for faster installation and achieves the same excellent lumen light output using less energy"
Register your installation for either a 10 year (domestic) or 5 years (commercial) warranty! 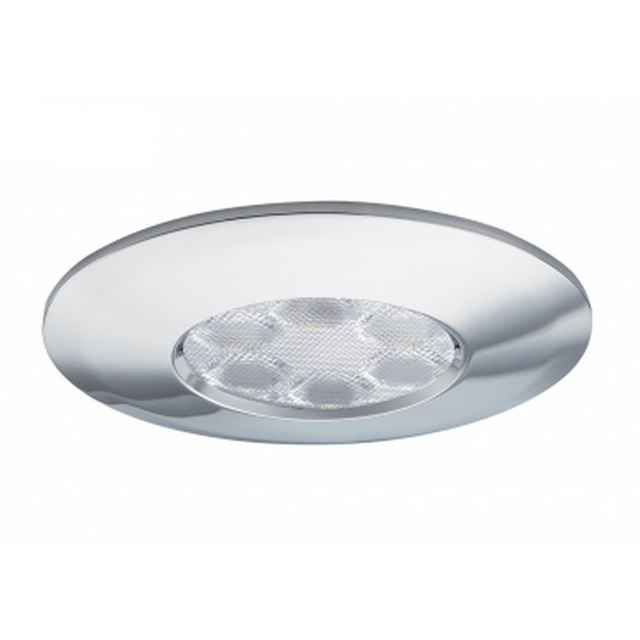 The FGLED6 Mains Dimmable Downlight belongs to the LED6 range. Its intelligent thermal management ensures efficient heat transfer, increased heat dissipation and intelligent heat distribution and its crystal clear engineered lens provides a 38-degree beam angle for a smooth and even light distribution. The design of this downlight integrates the electronics in the driver housing on top of the can. This raised position of the driver allows the heat from inside the can to flow directly into the void surrounding the fitting, not allowing any dust to enter and contaminate the heat sink. It also ensures that when insulation is overlaid on top of the fitting a large air pocket is created providing a controlled air flow around the fitting increasing the surface area for heat to be convected away.